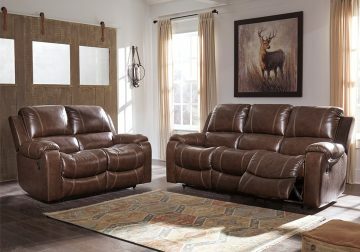 Once you recline in the Rackingburg dual power reclining sofa set with the pull of a tab, you will not want to get up. It’s that comfortable with bustle backs and padded ottomans. 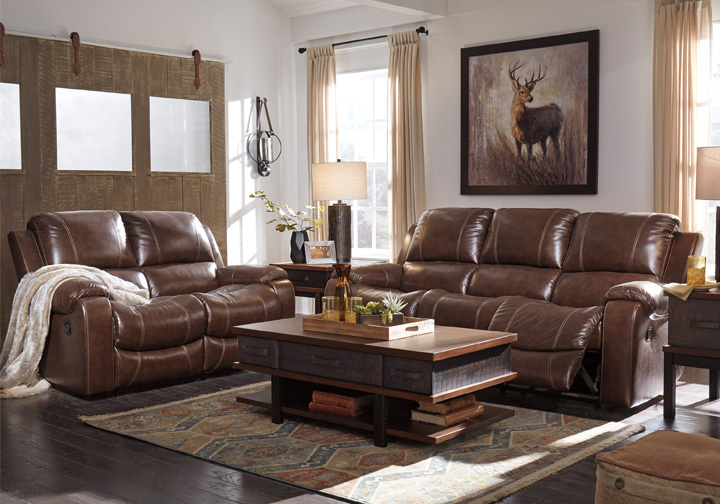 Its look is amazing with dramatic cut and sew lines, jumbo stitching and affordable mahogany leather match upholstery, which features top-grain leather in the seating areas with skillfully matched vinyl everywhere else—what a way to relax.